Engage. Develop. Inspire. These are the things Rick Lozano does best in his own, unique way. 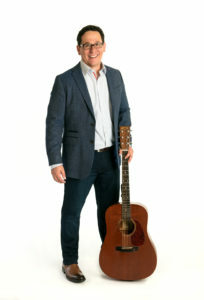 (Sometimes with a guitar in hand!) Rick helps people, leaders, and organizations crank up the positive results. 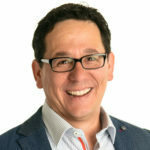 With almost twenty years of experience in global talent development, Rick has spoken to, coached, trained and mentored tens of thousands of people across the globe. He currently works at Rackspace Hosting in San Antonio where his team has been recognized for their award-winning leadership development and onboarding programs. You can learn more about Rick at http://ricklozano.com or on Twitter: @rick_lozano. 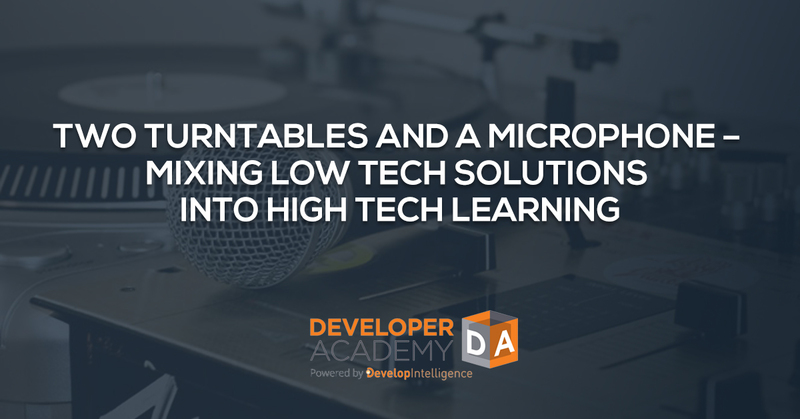 A few years ago, I was speaking at and attending the Association for Talent Development (ATD) TechKnowledge conference, an event dedicated to the intersection of technology and learning. I was presenting a session on some techniques that I had used in training events that incorporated apps, videos, internet resources, and other creative ideas. The session was incredibly well received and I was proud of the work I had done. 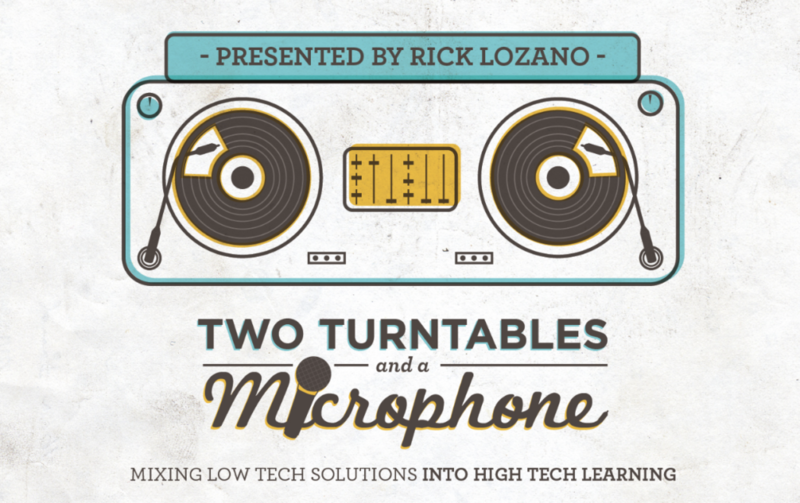 I was especially thrilled with what I thought was the best session title ever, “Two Turntables and a Microphone – Mixing Low Tech Solutions into High Tech Learning”. Pretty nifty, huh? I even had some sweet graphics. But there was something missing, something I needed, something I was on the search for to take back to my organization to help get us (a tech company) to the next level of technological integration in learning. I pondered how apps, virtual reality, cloud computing, and augmented reality would change the way we would develop and deliver learning experiences. To me, finding a way to leverage those technologies was the Holy Grail, the way forward. And we needed a new way forward because what we were doing wasn’t working as effectively as it used to. Despite all the creative ideas, the best content, and some of the most talented facilitators in the market, we were dealing with a disturbing trend. In the span of just a couple of years we went from full classrooms every session to having to cancel training due to low enrollment. What started as a roster with twenty-five people enrolled would end up as an intimate (read…empty) event with just a few people in it. What was going on here????? We were getting industry recognition for our onboarding programs, we were in the process of refining what was to become our award-winning leadership development programs…why weren’t people showing up for our general offerings? Was it our marketing engine? Were we focused on the wrong skills/competencies, were our models no longer relevant? We are dealing with a tech audience; the answer must lie in technology. So that was what I was on the search for, a technological solution to tie it all together. And then suddenly, a revelation. David Kelly of the ELearning Guild was presenting a session on what future trends we could expect in learning, and there it was. It wasn’t about the technology, per se, it was about the behaviors people engaged in while using those technologies. The simple truth was, our audience had changed the way they consumed learning, and we had not adjusted to their new models. The days of a two-day, in-person classroom session as the mainstay of a learning program were outdated. The way they consumed information – and learning – did. And we needed to adapt. Modern learning behavior is autonomous, social, on-demand, decentralized, virtual, at point of need. We Google and YouTube solutions that make sense. There is no ‘one size fits all’ solution, there are many ‘what do I need right now’ solutions. And finally, our purpose needed to adapt as well because we realized our role is not to own learning, but to enable it. So, began a period of reinvention. We moved to a portfolio-based approach to learning that would better meet the needs of our global, dispersed, time-strapped audience. We curated the most relevant tools our users might need and put them a click away. We included resources of many shapes and sizes… templates, job aids, videos, micro and macro learning modules. We leveraged existing content from vendors such as Lynda.com and Safari Books Online and incorporated them into customized learning paths for individuals. And, yes, we included instructor-led training. Some things are best delivered and consumed that way. But the biggest difference in the way we approached instructor-led training was that we went virtual. In the span of two years we moved from 90% in-person instructor-led training to almost the opposite – above 80% virtual delivery for everything we do. We leveraged Zoom (a video conferencing platform) to host virtual sessions ranging from one to three hours, creating live learning events attended by people across the globe synchronously. In any given session these days we have people learning together in real time from San Francisco to Wales to Hyderabad, India. In 2017, our users consumed 47.6K hours of training, to include over 6,000 virtual learning experiences. A global organization, a global learning approach to reflect modern learning behavior. Another major shift was moving from ‘trainers’ to ‘consultants’. Rather than taking orders and providing off the shelf training, we moved to a more consultative approach where we listened to our stakeholders and customized a right-fit solution for what they needed. And, yes, sometimes that still includes in-person training. Mostly. We’re still learning, still evaluating, and will forever continue to refine. We learned that too much content, too many resources, too many options, is just that. Too many. We learned that (like many learning and development operations) finding the right metrics and data is integral to show that the learning actually drove behavior change. We learned that instructional design in the virtual space is a completely different animal and we have to approach our facilitation in a completely different way. We learned that shorter, frequent, and focused is ideal. The good news here is that our audience loves our approach, attendance is high and our overall participant ratings are fantastic. One other thing that was incredibly important and useful – have an expert in the room when you’re learning a new and complicated topic. Especially for our tech classes: self-paced works great when you have the fundamentals, but it is awful if you are starting from scratch. So many of our people were “self-taught” and yet they all learned new things in each class regardless of their level. And finally, we realized that we over-corrected a bit. In our attempts to make everything virtual, we forgot that some people crave – and learn more effectively in some cases – in in-person, instructor-led environments. People missed coming to our classrooms. Our approach has since morphed to give our local, co-located population in-person sessions when possible, but to make sure everything is created so that it can be delivered virtually as well. And, yes, we still leverage technology in creative ways when we can. And as our consumption habits change, so will our approach. So where does all this leave us? Learning. Evolving. Getting better all the time and being willing to explore new ways to transform the way we help our users thrive in today’s workplace.